Durban beach users were advised on Tuesday 17 May 2016 that the uMngeni/Mangrove, Beachwood, Virginia and Glenashley beaches have been temporarily closed due to the excessive amount of medical waste which recently washed up and the clean-up operations currently underway to remove it. The beaches are expected to be closed for the next two weeks. 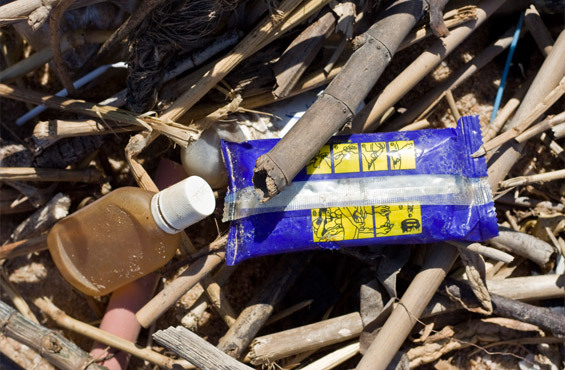 It has been reported that the recent medical waste discovered on the beaches consists of various types of pills as well as sealed packets of male and female condoms. According to eThekwini Parks Head, Thembinkosi Ngcobo, an investigation is underway to determine the source of the medication. He has also speculated that about half a ton of pills had also been dumped in the ocean. 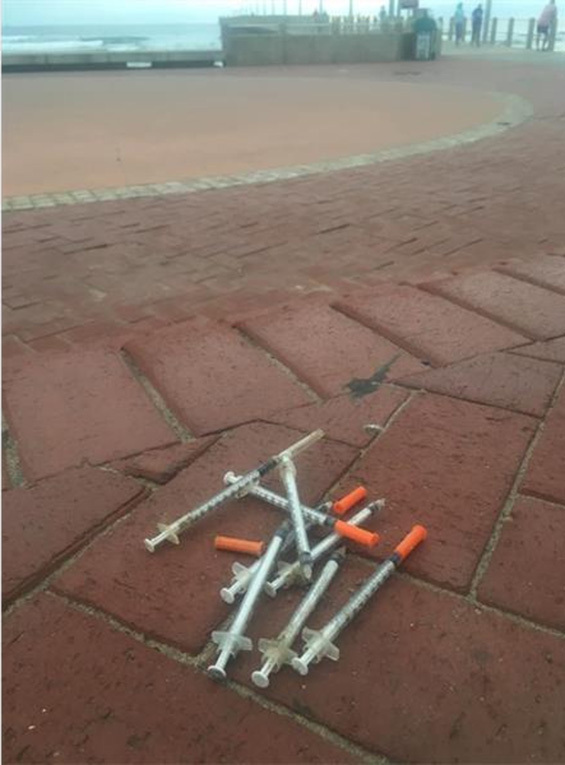 The eThekwini Municipality also made a point of noting that no syringes have been found washed up on the beach as of yet – which is good news for KZN surfer John McCarthy who stood on a needle and syringe, that had been irresponsibly discarded, while taking a run on the beach last month. 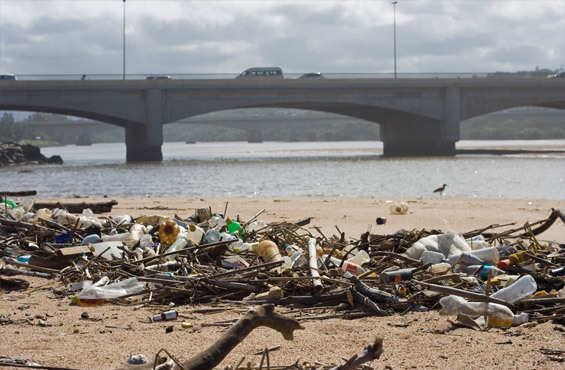 According to Bart Fokkens, Field Manager for the Dusi uMngeni Conservation Trust (DUCT) , the medical waste arrived on the beaches with the floods ten days ago. He also speculates that the waste arrived here due to poor waste disposal. “People are desperate for money. Instead of taking the waste to an official dumpsite [where you pay per load] they dump it down the river banks,” says Bart. “There is tons of waste that is going unmonitored and uncontrolled and the city is not doing enough to prevent this,” he continued. According to Bart – who is currently in the process of tracking the source of excessive motor vehicle oil leaking into the uMngeni – the tablets and unused condom packets can be traced through the VAT numbers on the packaging. These can in turn be traced back to the clinic from which the products came, as well as the waste disposal companies the clinics utilised. It appears that the medication has not been used and the municipality have been unable to estimate the quantity of medical waste as of yet as the spillage is spread across Suncoast to Virginia Beach. 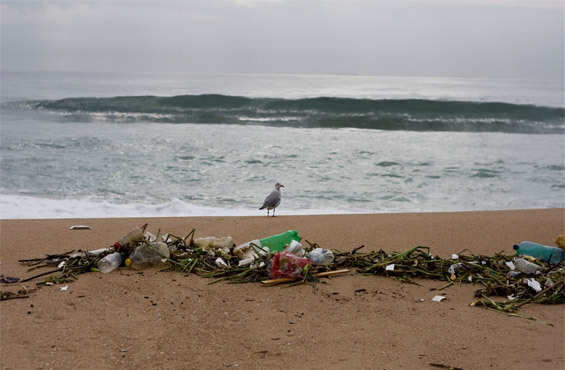 Over the past ten days Bart and his team have removed over two tons of recyclable waste between the uMngeni River mouth to approximately one kilometer south of the mouth. He is urging public to sort the recyclable material (which makes up approximately 80% of the washed up waste) at the beach, as this saves The City transporting the waste to landfill sites. Recycling bags filled with waste can be dropped off at the Green Hub where they are collected by recycling companies. The City has announced that they will be upping their game with regard to waste management and ocean / estuary pollution. According to Margaret Burger of The uMngeni Estuary Conservancy, there are many exciting projects in the pipeline which have the aim of cleaning the tributaries such as the Aller River and the Palmiet River; as well as the consistent hard work done by DUCT which is funded by the municipality through the Durban Green Corridor. With about 270kgs of plastic entering our oceans every second, plastic pollution may not be a new issue, but it is one which needs to be taken seriously – by the public, by the authorities and by The City. Plastic which gets washed into rivers and estuaries gets carried out to sea, beaches and rocky-shores and is a major contributor to the destruction of our oceans and marine life. 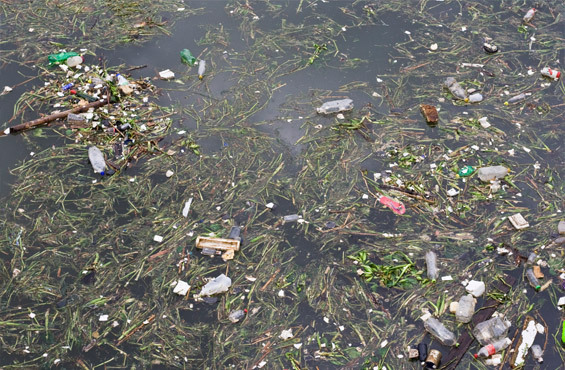 By 2045 the flow of plastic into the sea will be an estimated 600kgs per second; 36 tons per minute or 2160 tons per hour, if current trends continue. This situation poses a serious threat to humans, to animals, plants and ecosystems. Estimates suggest that there are 150million tons of plastic in the sea at the moment and again, if present trends continue, there will be more than 700 million tons in the ocean by 2050, outstripping the total weight of fish in the sea. 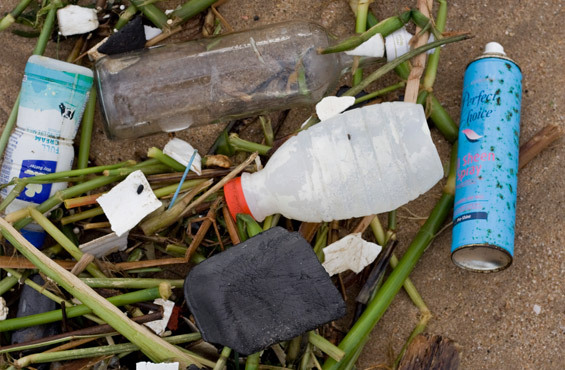 Plastic Pollution will be in the spotlight on July 25th and 26th in Port Elizabeth. During these two days the Sustainable Seas Trust, Plastics SA and other partners will launch the African Marine Waste Network. 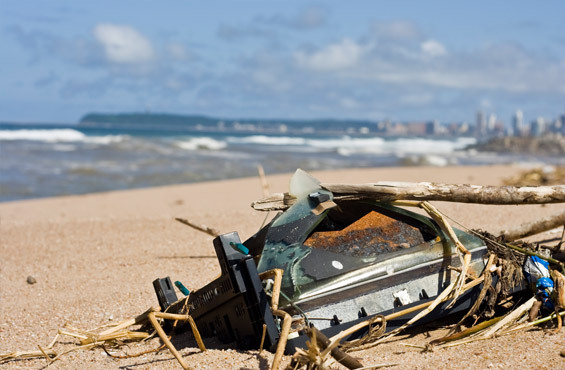 Although the launch will take place in South Africa, the African Marine Waste Network will be the first to address marine waste at a Pan-African level. It is hoped that all South Africans will join this initiative to help Africa to play its role in responsible waste management. Afterall it is our responsibility to make reducing, re-using and re-cycling a part of our culture to ensure that the children of our planet have a better surf and a better tomorrow. 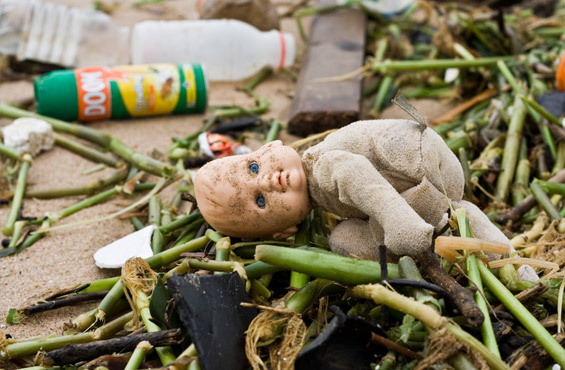 Contact Durban Green Corridor for more info on recycling and beach clean-ups and join the beach clean up happening tomorrow at the Beachwood Mangroves, Durban – Saturday 21 May, from 09h30-11h30. Details here. 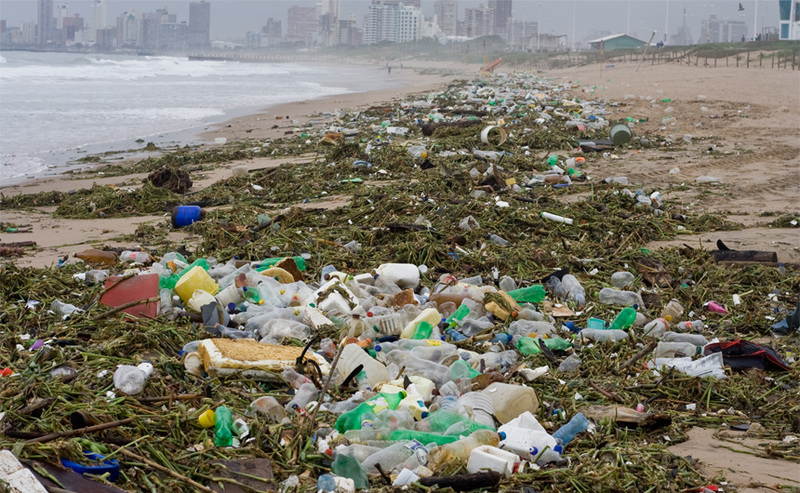 Read more on the plastic crisis on Durban’s beaches in the latest issue of Zigzag, 40.4.